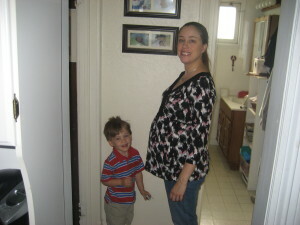 Today is our first day back to “normal” since returning from our week-long vacation on Lake Winnipesaukee. 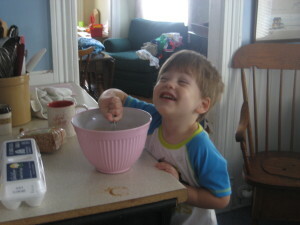 John went back to work this morning and Jack and I have done stuff around the house, mostly playing and some mild housework. This morning I saw the flowers on our hydrangea bush are just about gone. 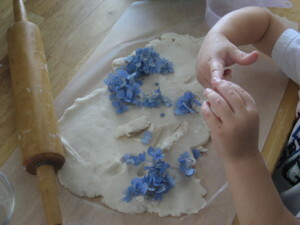 I decided to pick some remaining flowers and make play dough. Lavender essential oil adds a nice touch and Jack really enjoyed the floral dough. This would be a great way to use up any remaining flowers from the garden or inside your home. Ingredients: 2 cups flour, 1 cup salt, 2 tbsp cream of tartar, 2 tbsp vegetable oil, 1.5 cups of boiling water, 5 drops of lavender essential oil, and 1 handful of hydrangea flowers. 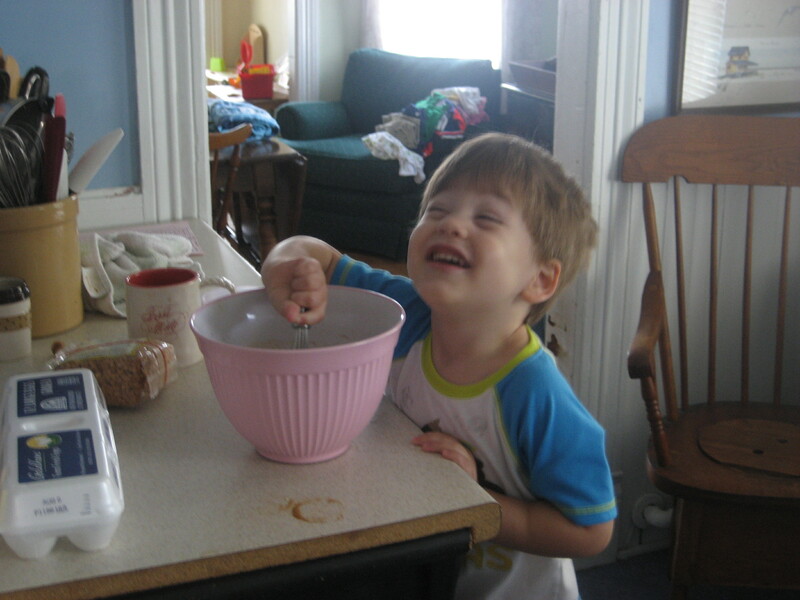 Directions: Combine all dry ingredients into a bowl or pot. Mix in vegetable oil and essential oil. Add water and mix until it is a dough consistency. 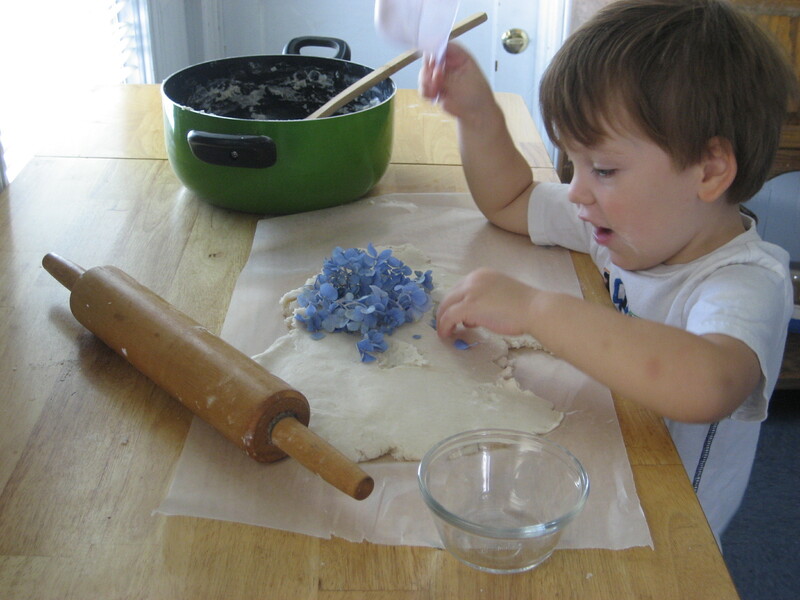 To use, spread out on wax paper and have kiddos roll out the dough and add in the flowers. It doesn’t take long to cool and is usable almost immediately. Enjoy the aroma and color! It is that time of the year again, well almost. 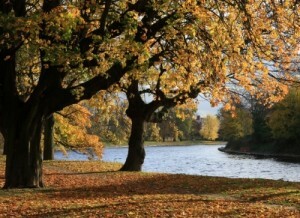 Before we know it, autumn will be here! Not sure about you but autumn is my favorite season. Everything from the warm, rich colors to spiced cider and apple pie is right up there at the top of my favorite things list. 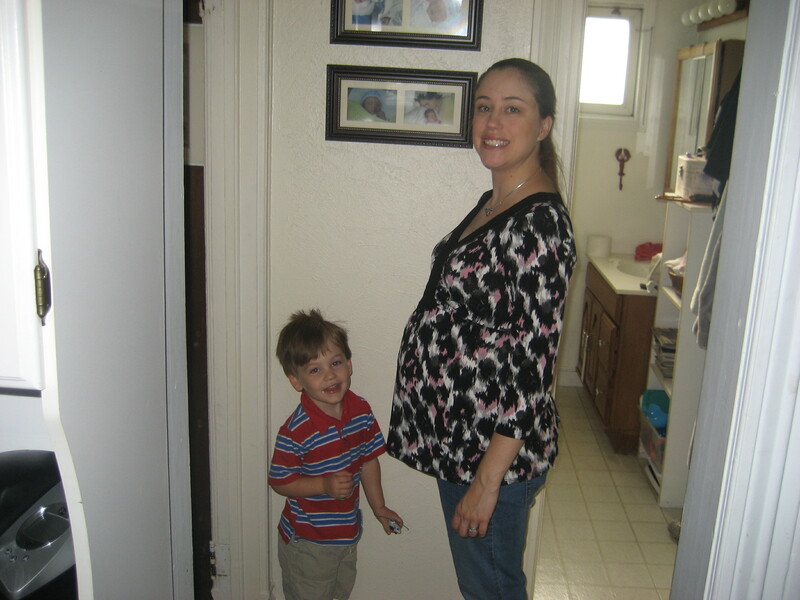 This year we are expecting our second child at the beginning of October. 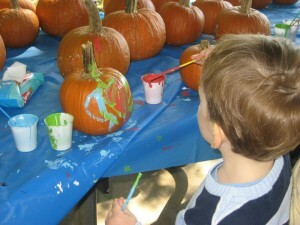 I know life with a newborn and a toddler will be exhausting; however, with a little planning and a fall bucket list, I am sure we will get to enjoy each day of autumn doing a little something to celebrate the season. 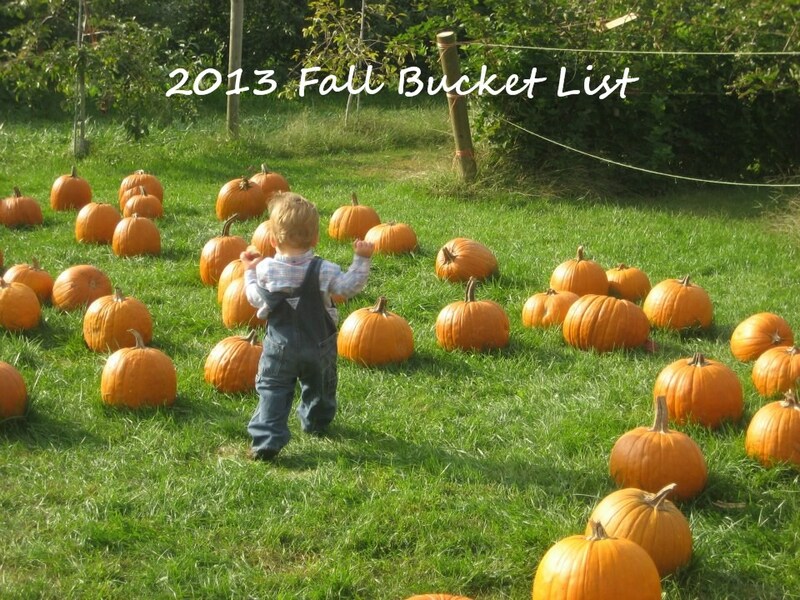 So, here it is, some ideas for a 2013 Fall Bucket List. Enjoy! This one is a given! 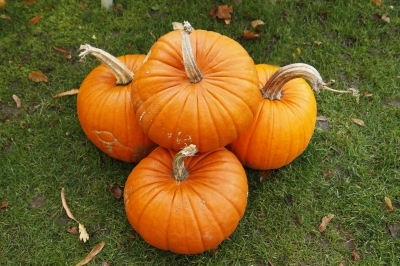 Bring the family, a wagon, and a camera to your local Pumpkin Patch. Pick some pumpkins for your front porch and for a homemade pumpkin pie. 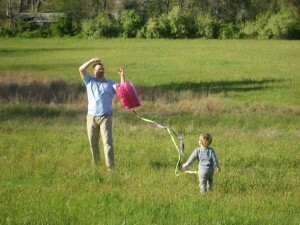 Grab a kite and the family for an afternoon of soaring. Autumn is naturally breezy and the perfect time of the year to throw on your favorite sweater and spend the day outdoors. Don’t forget to swing by your local coffee shop for a pumpkin spiced latte. 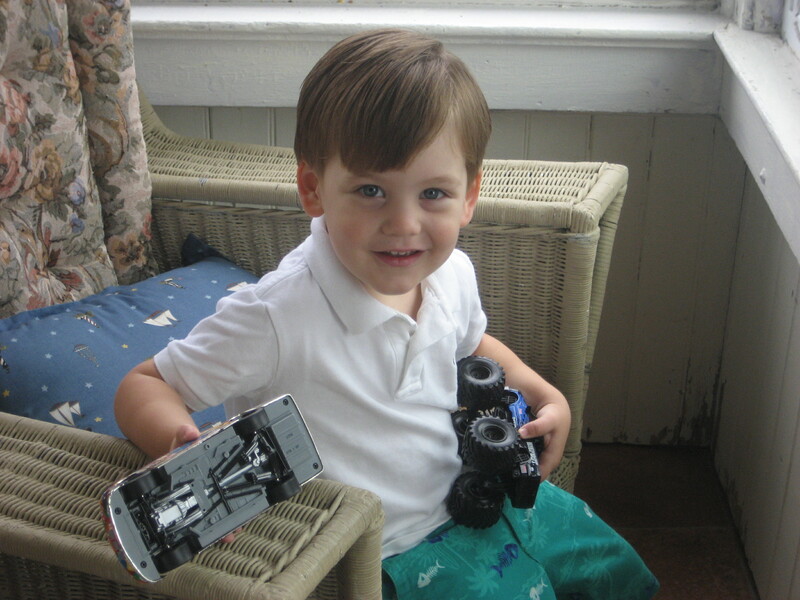 Again, grab the family, a wagon, and a camera. Hit your local orchard and fill those bags. 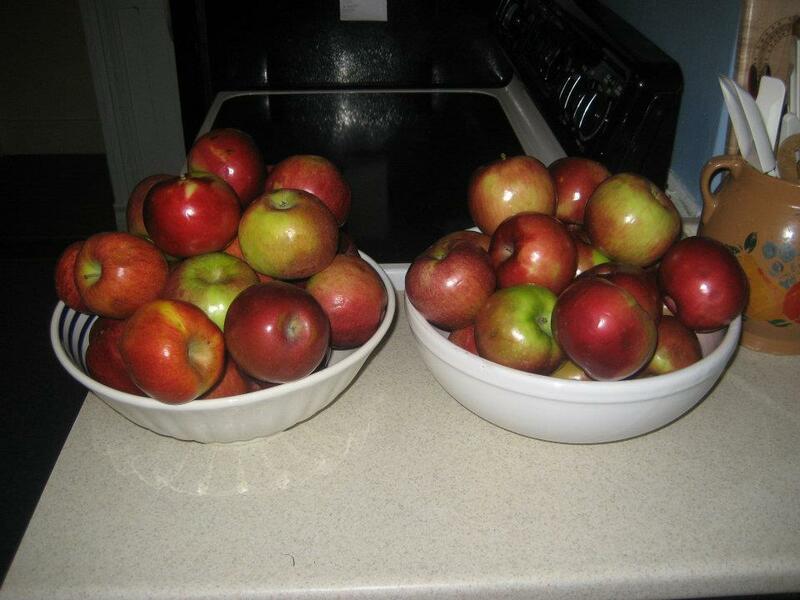 You may arrive home and wonder what exactly one is to do with so many apples. The options are endless. 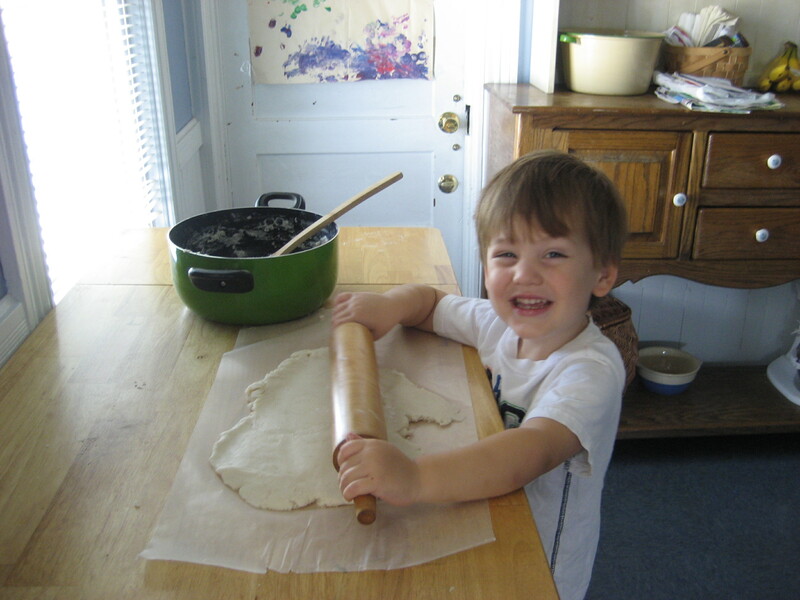 We love homemade apple butter. 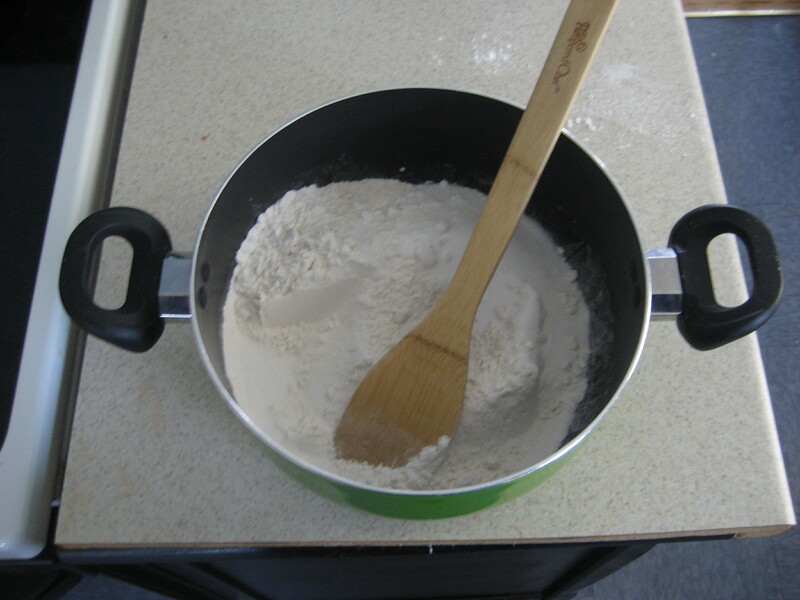 I have posted my recipe at the end of this post. This one is a given for our family. During each season we try to do a craft each and everyday. We do everything from painting to coloring pages. 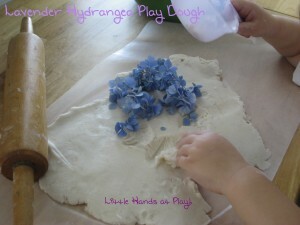 We make play dough and do a lot of sensory activities. 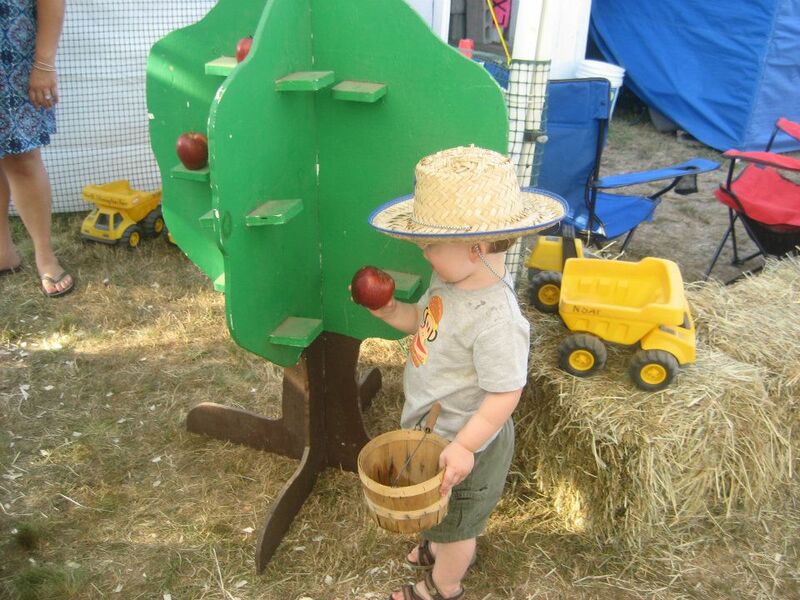 Most towns across America have annual fall festivals or county fairs. 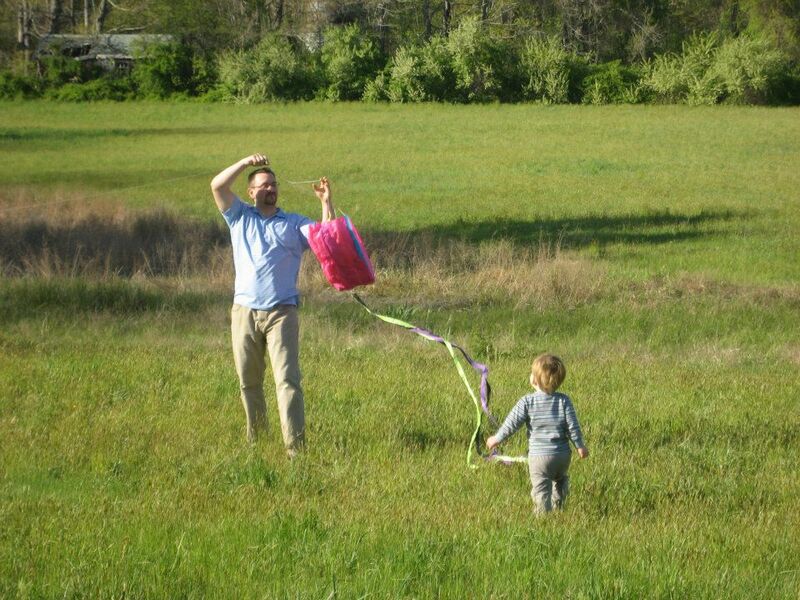 Pack up the family and head to your local event. Maybe your town has an annual parade, fair, or even a farmer’s market event. This is a great way to support your local community and have fun at the same time. Autumn wouldn’t be autumn without those richly colored leaves. Jump in the car or on your bikes and head out to an area where the leaves are stunning. We like to collect some of our favorites for crafts and pressing. Make sure to bring your camera. Autumn is my favorite time in the kitchen. 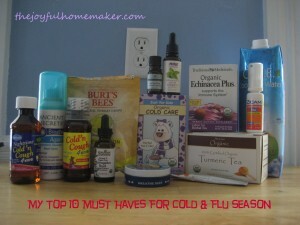 I light my favorite Yankee Candle and heat up some warm spiced cider and get cooking. I enjoy using my crock pot most in the fall because the smell is unbeatable. Also, it allows for some bulk cooking. With all the apples, pumpkins, and in our case, venison, it is imperative we prep our food supply and make it last. Below is my favorite apple butter recipe. 3 lbs of apples, 3 cups of sugar, 2 tsp of cinnamon, 1 tsp. of nutmeg, 1/2 tsp. of allspice, 1/2 tsp. of cloves, a pinch of salt, and 3/4 cup of apple cider or water. Fill your crock pot 3/4 of the way full with peeled and cored apple slices. 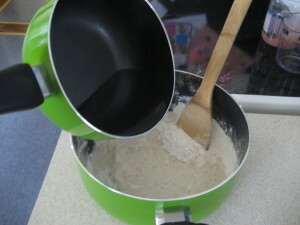 Add the remaining ingredients and stir. Cover and cook on lowest possible setting until apples are a thick, butter consistency. Keeping cooking down if too much liquid is present. Make sure to stir. Pour into canning jars and freeze or hot water can them for shelf stability. To can leave 1/4 head space and boil in water canner for 10 minutes. I hope everyone gets out there this fall and enjoys the season. It will be here before you know it. 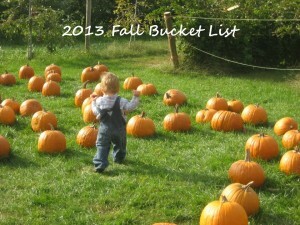 Making a bucket list is a great way to make sure you get to all of those fall activities.